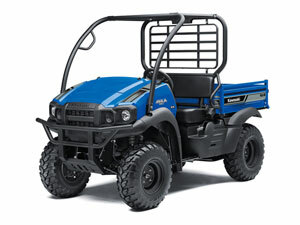 Kawasaki?s compact MULE models are equipped with everything they need to get the job done. Japanese durability ensures these models are built tough. The 2018 MULE SX XC model features the rugged styling of the PRO Series models, giving it a strong MULE family resemblance. A number of other PRO Series inspired features increase convenience. The line-up includes two variations: the standard model Mule SX (2WD) offer highly reliable performance in work situations; the ?Bigfoot? MULE SX XC with selectable 2WD or 4WD, high and low range and locking rear differential provides added traction and increased utility potential. Kawasaki?s ?little? 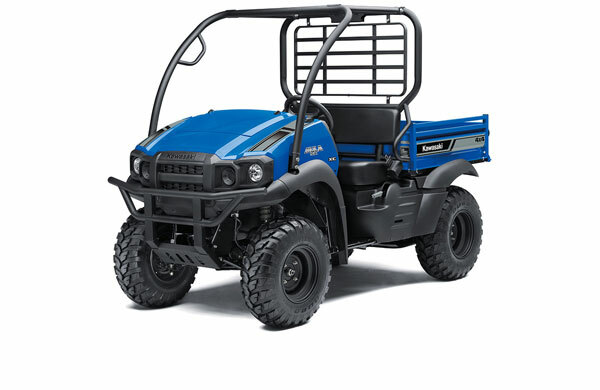 MULE is very capably meet market needs for lightweight, compact utility vehicles capable of filling a variety of roles.^^Offer ends 30/04/19^^*Ride away price includes all offers, cashback, rebates and discounts.^^Please note this price is for Queensland only. This price may not include all features and colour options. Please contact your local Kawasaki dealer for location specific pricing.